Reltio’s inclusion in the The Forrester Wave™: Machine Learning Data Catalogs Q2 2018, by Michele Goetz with Gene Leganza, Elizabeth Hoberman, and Kara Hartig, Forrester Research, June 2018, sparked (pun intended) several questions. Such as why was Reltio included, how did we receive such strong marks, and why were we the only Master Data Management (MDM) vendor in the Wave? The simple answer is that the Wave’s qualification criteria includes several key areas in which Reltio is naturally strong. As the only Master Data Management platform recognized in the Wave we believe our core MDM capabilities contributed to our strong showing. In fact, Reltio had already been included, together with 23 other excellent companies, in Forrester’s Now Tech: Machine Learning Data Catalogs, Q1 2018 report preceding the Wave. Reltio is used by companies globally to define logical business schemas, capture and discover relationships through the Reltio Self-Learning Graph, suggest ongoing improvements, and to organize and bring siloed data together across the enterprise to meet their business objectives. This continuous reliable data foundation feeds better operational execution, predictive analytics, and sets them up to evolve towards a self-learning enterprise. Reltio Cloud’s built-in data security and privacy, regulatory, life-cycle, and data quality policies coexist to adapt data for multiple uses through a powerful audit trail, and role based access to data. This is critical in the face of evolving compliance measures such as GDPR. Flexibility and agility to ensure that you can track not just where the data originated, but how it’s being used and the outcomes it generates, is a critical component of any forward looking ML strategy. Reltio is particularly well suited to meet this requirement through frontline business user facing data-driven applications and workflow and collaboration capabilities that come OOTB with Reltio Cloud. It allows teams to submit comments, suggestions, filter and easily segment information through a UI that’s as easy to use as Facebook and LinkedIn. Data science teams are then able to use Reltio IQ, with Apache Spark to run their algorithms without the pain associated with cleaning and onboarding data in separate environments. This is increasingly important as enterprises deploy machine learning systems, with data scientists requiring relevant, curated data sources to train algorithms to improve results. As this video illustrates, the true value comes from being able to synchronize ML-algorithm derived IQ scores back into master profiles as aggregate attributes. Making them available for segmentation by marketing, sales, and even data stewards and compliance teams. Teams can then continuously reconcile results to recommendations in a closed loop to self-learn and improve outcomes. 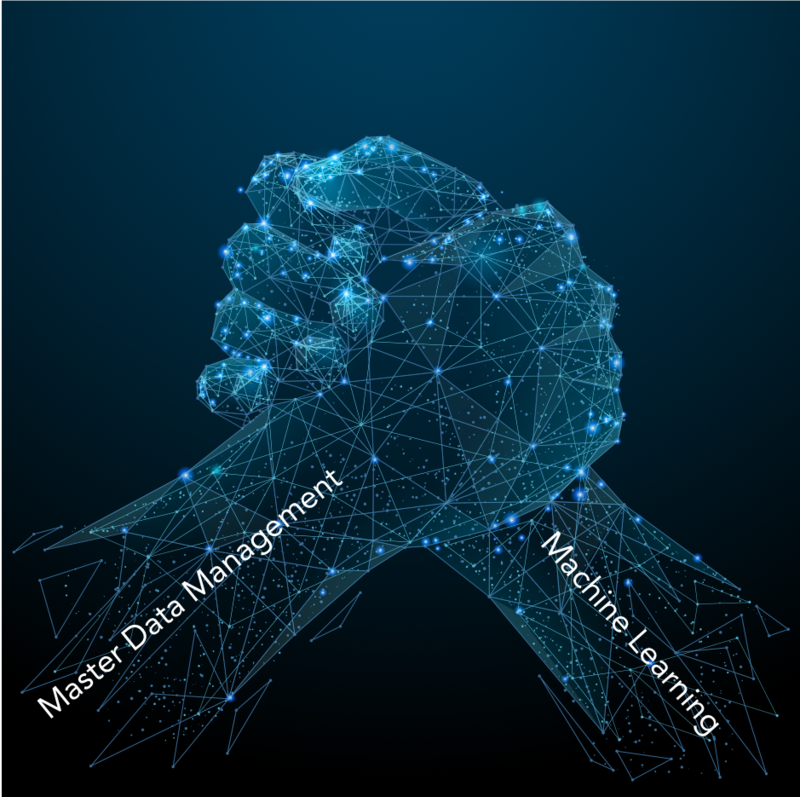 We are tremendously proud and honored to have been included in the MLDC Wave as it reflects our core belief that machine learning cannot be used in isolation from the overall data organization and management needs of the business. Whatever your desired outcome, MDM forms the backbone of high quality, reliable data which allows ML to thrive. ML in turn provides unique capabilities to improve and increase the efficiency of data quality, and enterprise data organization operations. Like the graphic I selected for this post, they go hand in hand, and are interconnected across all points of the data continuum and life cycle.